PIERRE, S.D. 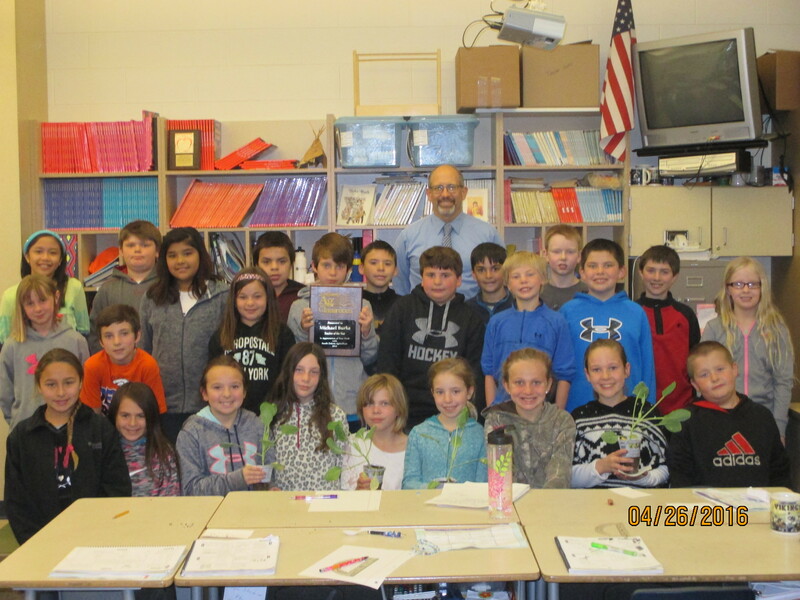 - South Dakota Ag in the Classroom has named Michael Burke, a fourth grade teacher at Valley View Elementary in Rapid City, South Dakota, as its 2016 Teacher of the Year. 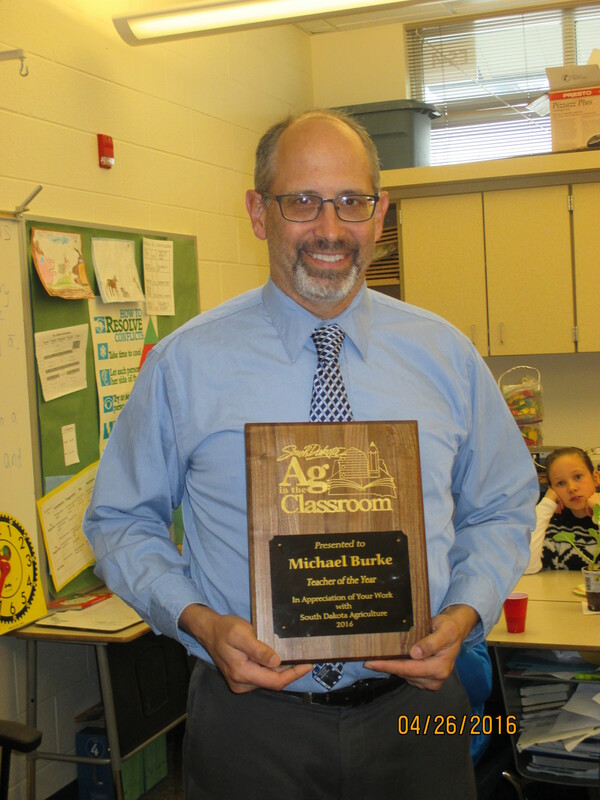 Burke, who has been teaching for 23 years, was chosen to receive the award because of the work he does in his classroom to promote agriculture literacy amongst his students. Burke initially got started incorporating agriculture into his classroom because he was looking for a way to involve the community. His classroom started planting a garden outside the school about six years ago. Burke invites other classrooms to participate in the planting and caring for the garden over the summer. The families who help care for the garden get to take some of the items home during harvest. South Dakota Ag in the Classroom’s mission is to be the premier educational organization in preparing individuals with tools to teach our youth the value of agriculture. 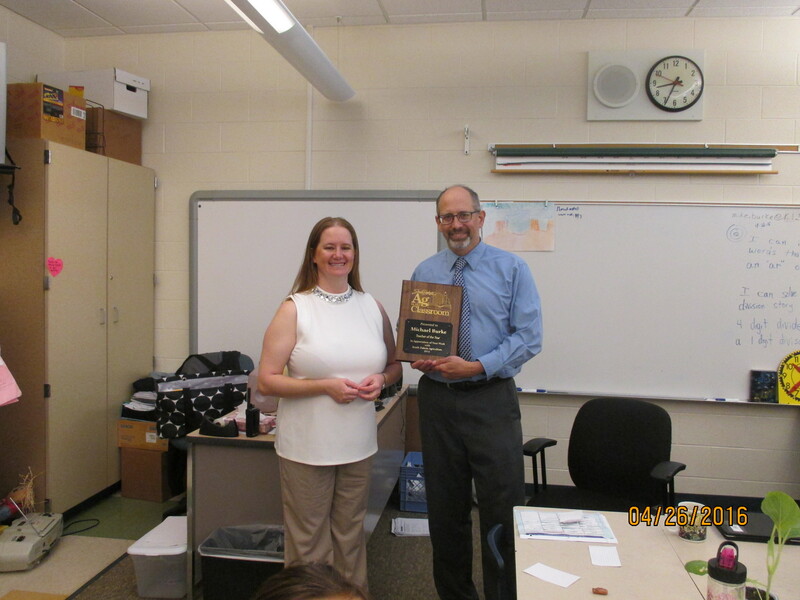 Photos available: Burke with plaque; Burke with class; and Burke with SDAITC Executive Director Ann Price.